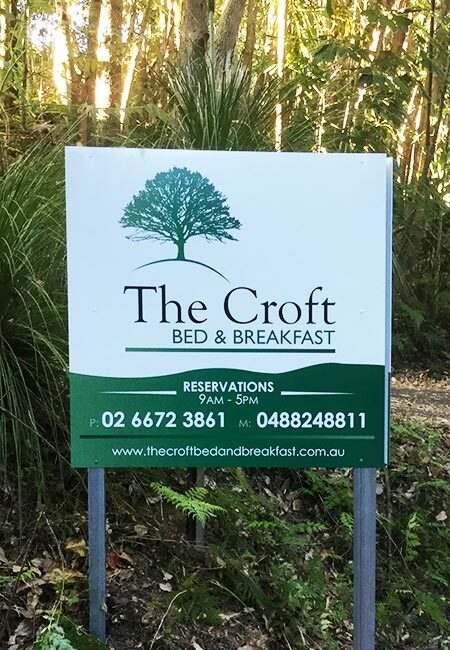 The CROFT is ideally situated on 5 acres on the lee slopes of the MacPherson Ranges in the lush hills of the Tweed Valley, north eastern New South Wales. 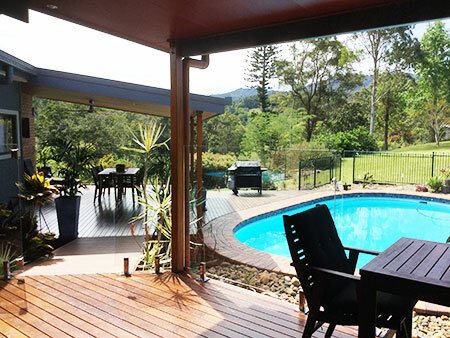 It is an easy 30 minute drive south from Gold Coast airport, Coolangatta, QLD. The property is a relaxing 15 minute drive from the M1 and follows the tranquil course of the Tweed and Rous rivers. 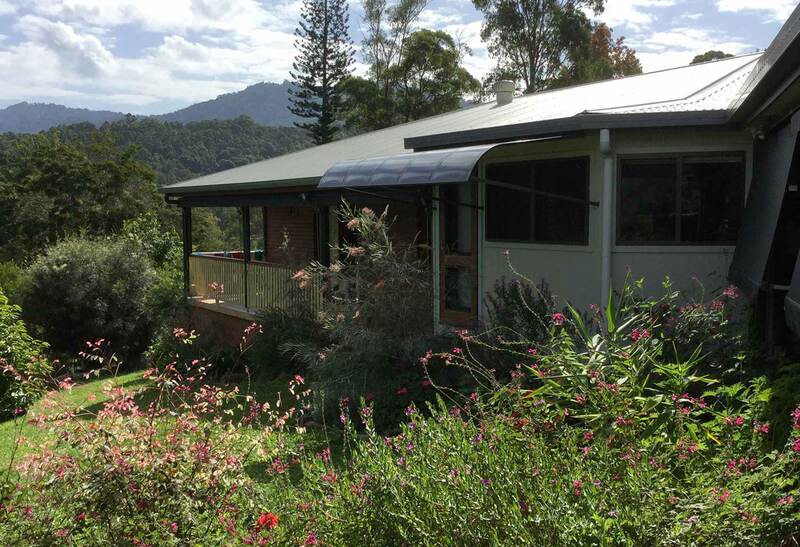 The fully self-contained accommodation is set in peaceful surroundings which offer stunning views of Mt Warning and the Border Ranges. 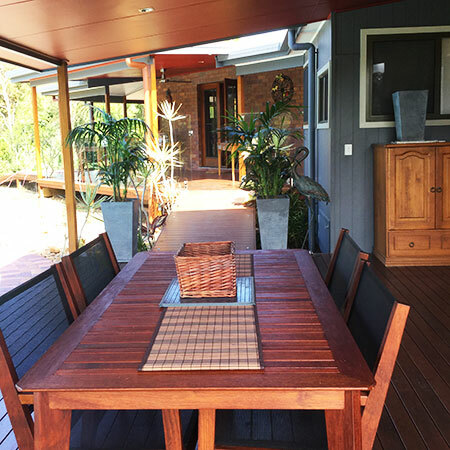 It is a short 6 minute drive to the town of Murwillumbah which supports quality shops, cafes and restaurants. 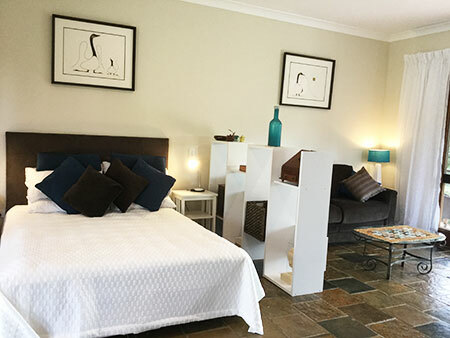 In addition it has a private ensuite bathroom with fresh linen, complimentary soaps and hairdryer and kitchenette with kettle, toaster, electric fry pan, microwave and fridge. At certain times during each year our vegetable and citrus patches may provide produce which guests can harvest when available. Seasonal produce such as lettuce, rocket, cucumber, tomatoes, capsicum, zucchini, asparagus, oranges, mandarins, lemons, limes, cumquats, pineapple, passion fruit and dragon fruit, may be available. 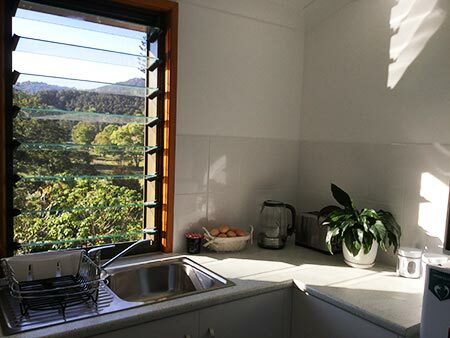 Meals are available if required and we ask they be requested in advance. Fresh breakfast provisions provided daily include juice, cereals, tea/coffee, milk, bread, bacon and free range eggs from our chickens.